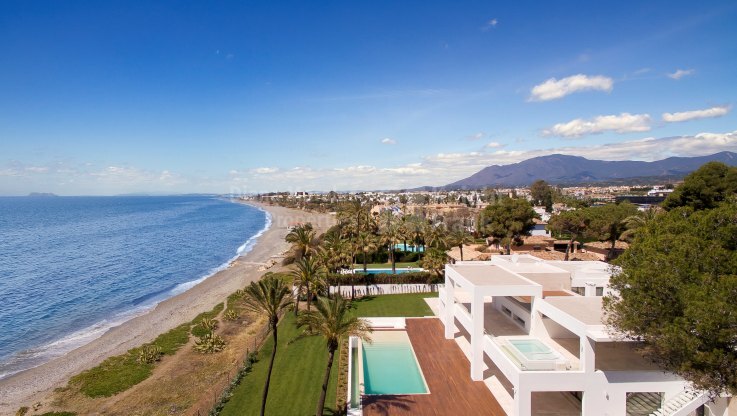 Please, send me more information about ref DM3690 in New Golden Mile, Estepona or similar properties. 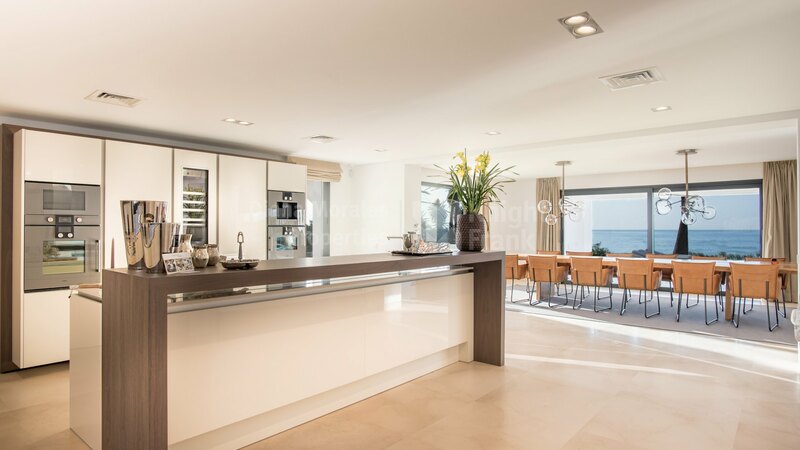 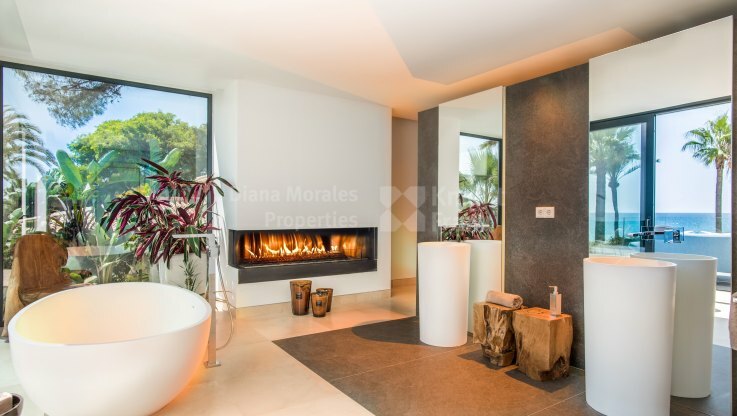 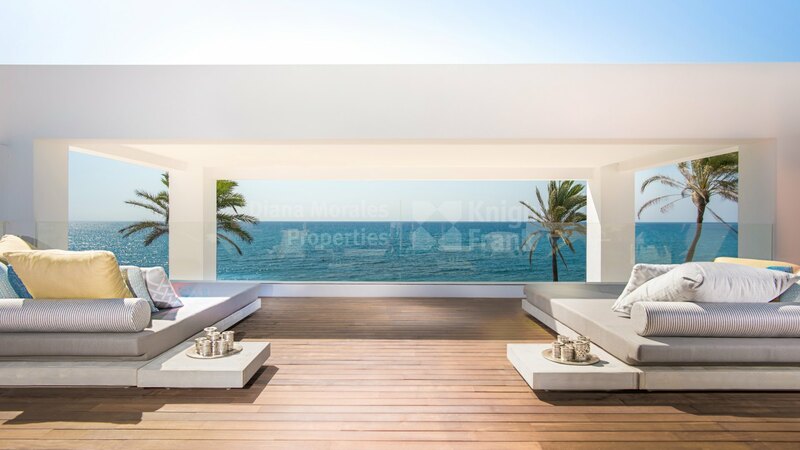 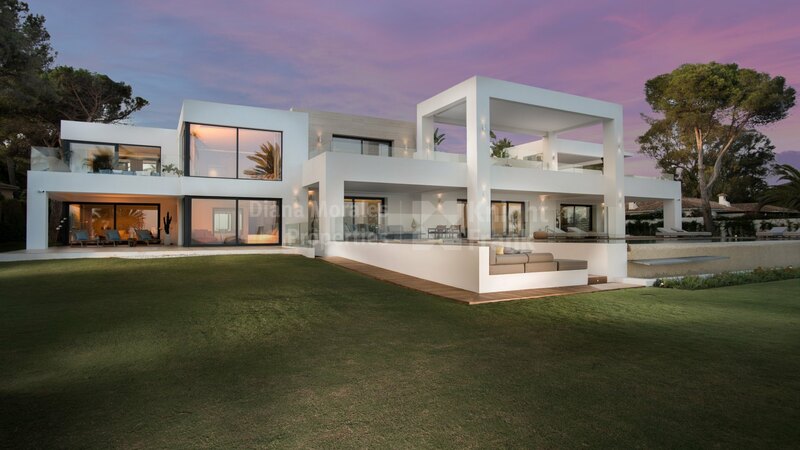 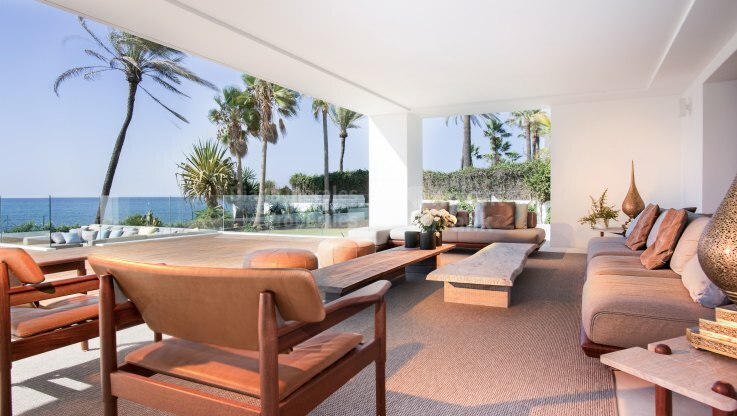 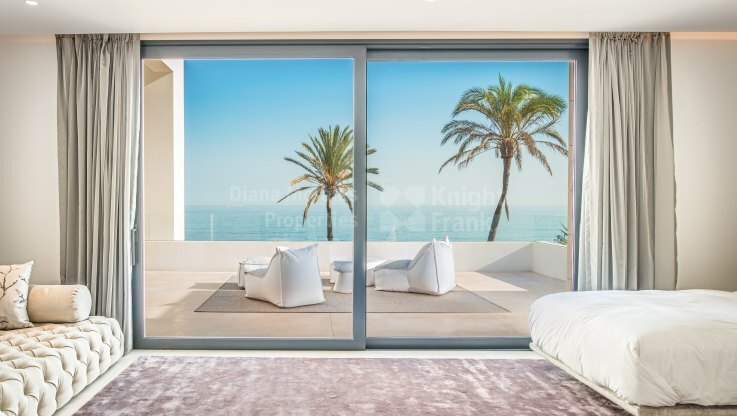 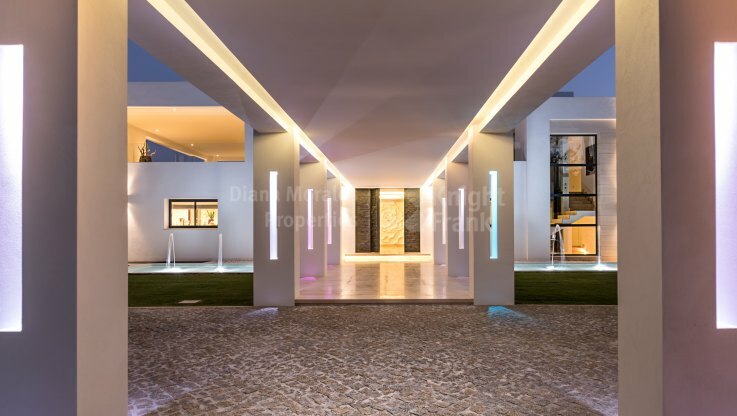 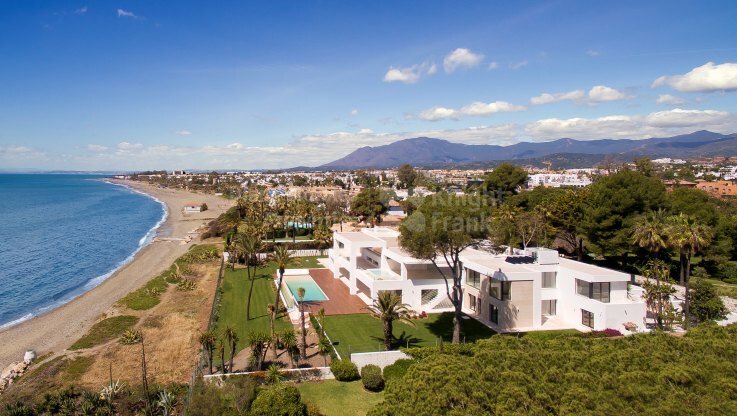 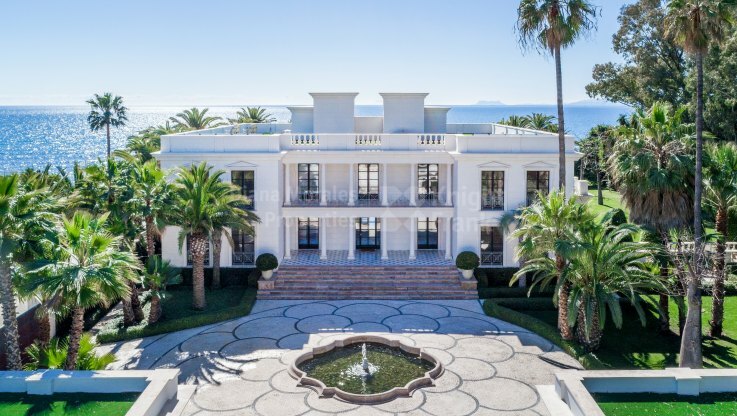 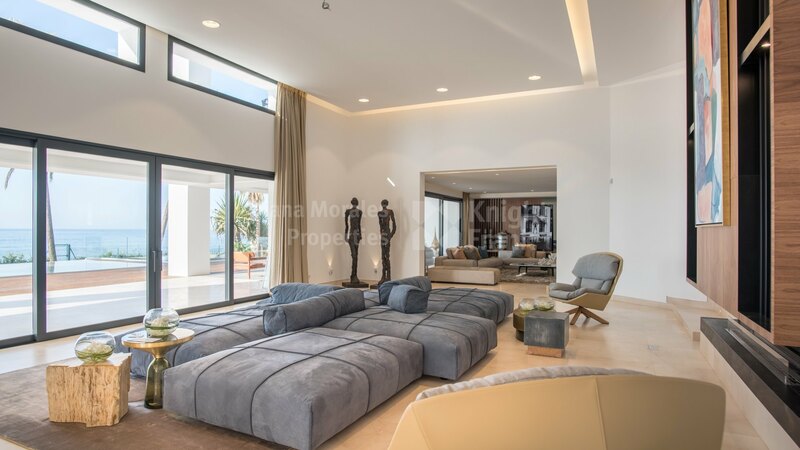 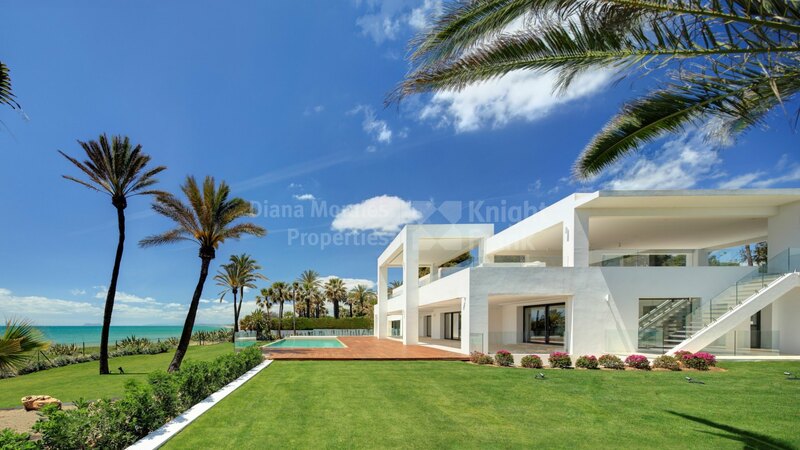 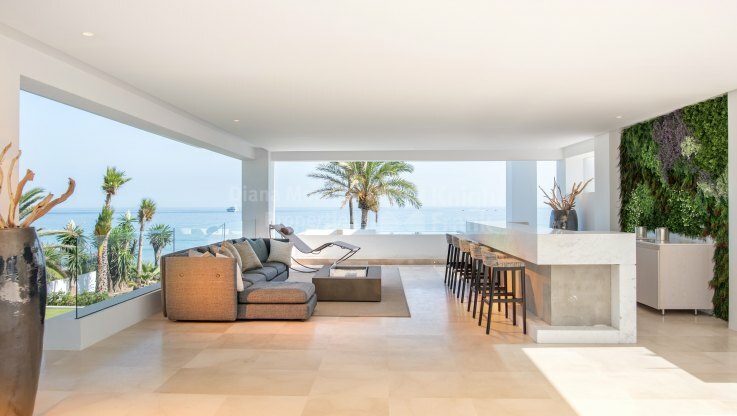 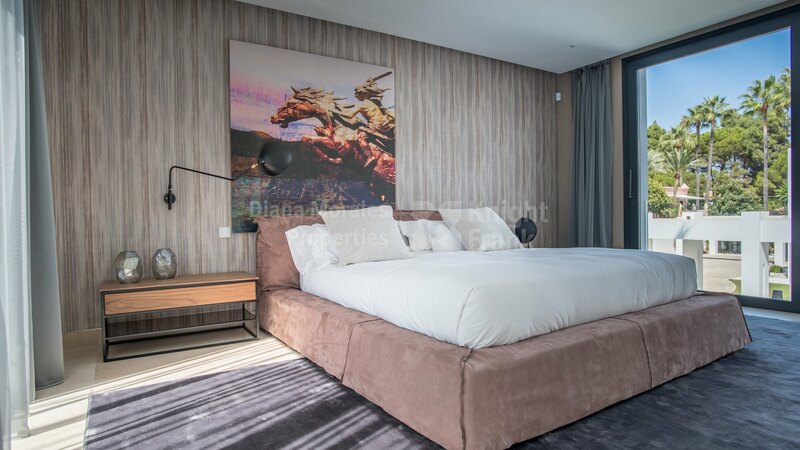 Unique and modern front line beach villa, located in the New Golden Mile, Marbella West, at a 10-15min drive into Puerto Banus, with direct access to the beach. One of the finest beachfront homes on the whole coast, offering 60m beach frontage and unrivalled qualities. The property features on ground floor an entrance hall with guest toilet, lounge, TV room, fully fitted kitchen with central island and dining area. 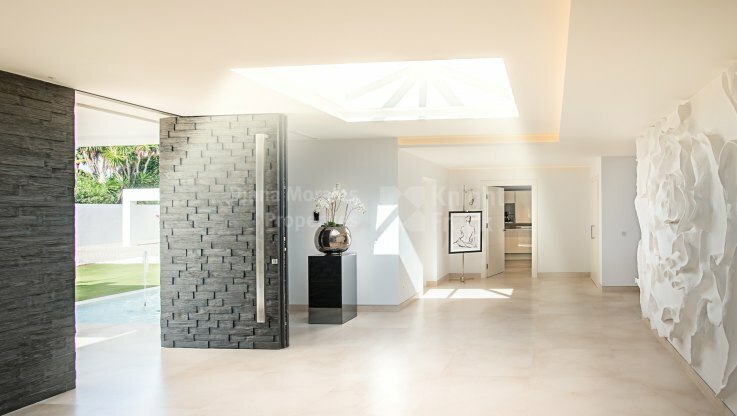 Three bedroom suites in the western wing and 4 more bedrooms and 3 bathrooms in the eastern wing would complete this level. 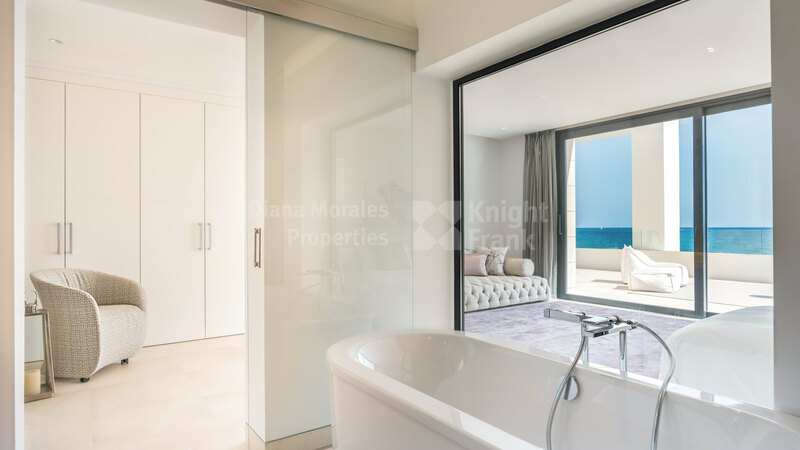 The upper floor includes a private westwing 224m2 suite with dressing room and bathroom with shower, a bath tub and private south west facing terrace. In the eastern side you can find two more bedroom suites, gymnasium with bathroom, sauna and Turkish bath. 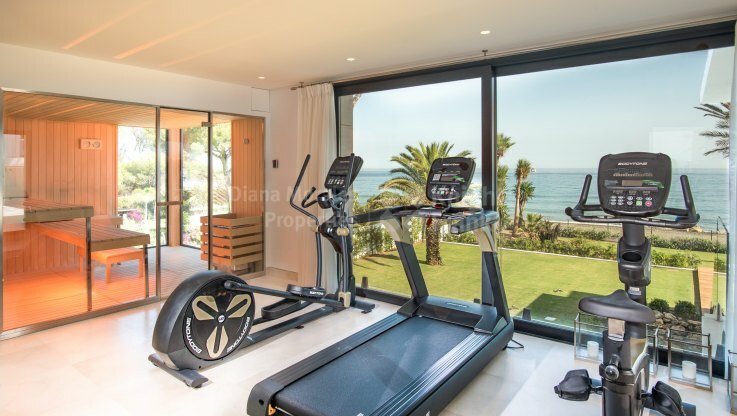 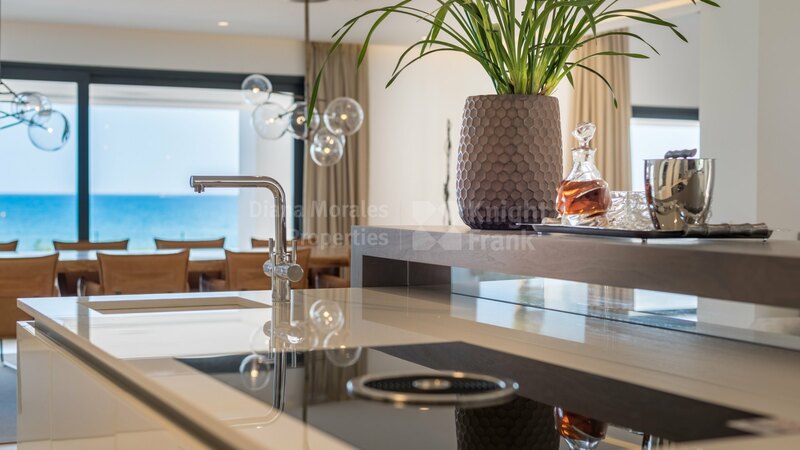 The rest of the level is occupied by a 313m2 sundeck with lounge-bar and a fully fitted gym with panoramic sea views. 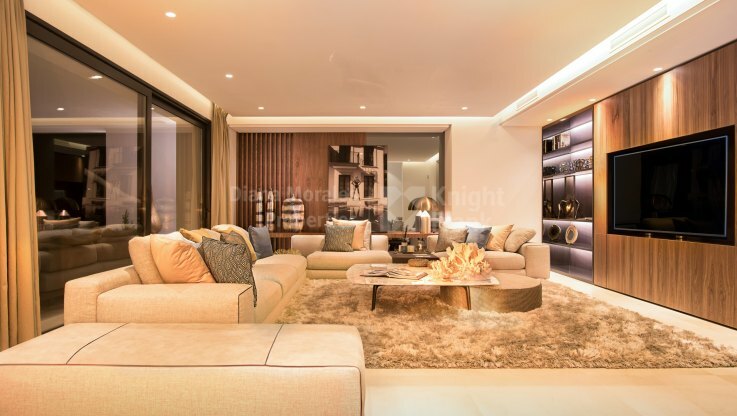 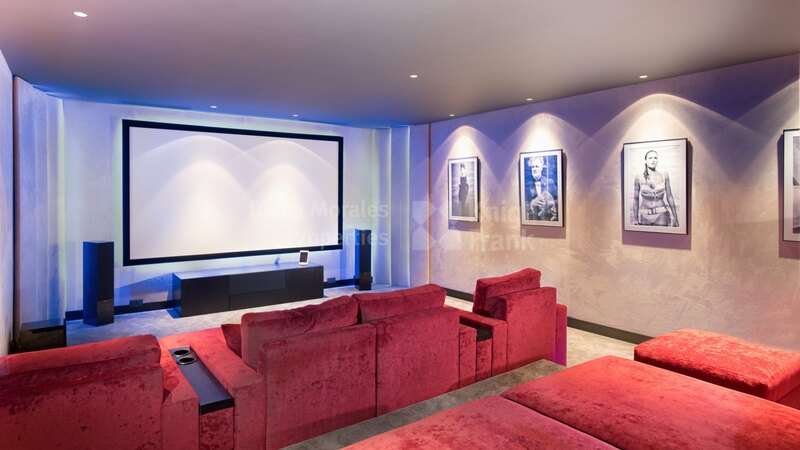 The basement houses a heated indoor pool and areas for cinema room, billiard room, wine cellar, laundry, machinery room and various storage rooms.